No Cable? No Problem, AMC Tells “Breaking Bad” Fans. 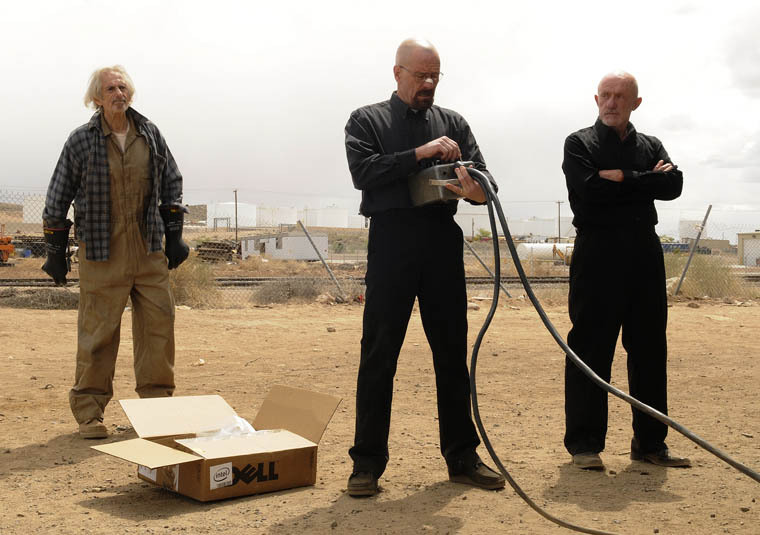 “Breaking Bad,” America’s favorite meth-dealer drama, kicked off its fifth season on AMC last night. If you missed it, you can probably catch it now, via your pay-TV provider’s on-demand service. And if you don’t pay for TV, you can also get it right now. Legally. Less than 12 hours after the show premiered on the East Coast, Apple’s iTunes has the first episode available: $2 for a standard-definition copy, and $3 for HD. Amazon’s Instant Video doesn’t seem to have the show up yet, but it should also be there shortly. That kind of on-demand digital “windowing” is now standard for lots (but not all) TV, so it’s not news in and of itself. But that kind of thing is one of the flashpoints in the fight between AMC and satellite-TV provider Dish Networks: Dish says AMC’s programming is “devalued” because it’s so easily available on digital outlets. 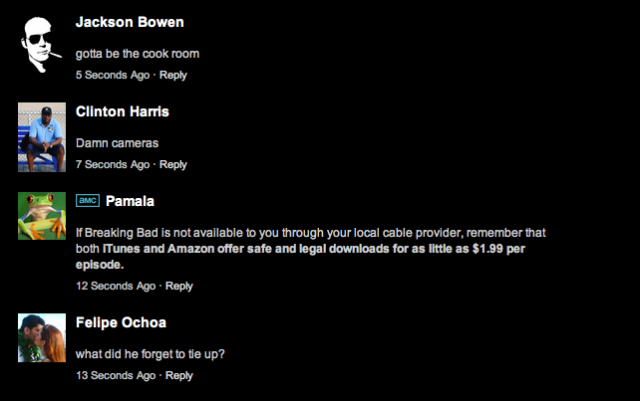 So for now, you can’t watch “Breaking Bad” or any other AMC show on Dish, period. The Dish fight is presumably what prompted AMC to flash those messages to its most ardent fans last night. Because AMC would really rather have its fans watch its shows on AMC, so they can get paid twice for the episodes: Once via advertisers, and once via “carriage” fees. And presumably, once the Dish fight ends, AMC will be a little less aggressive about promoting iTunes and Amazon for “in-season” viewing. But, in the meantime, it’s yet another example of the pay-TV industry reminding viewers that they can watch their favorite shows without a pay-TV subscription. One day those lessons might really sink in.